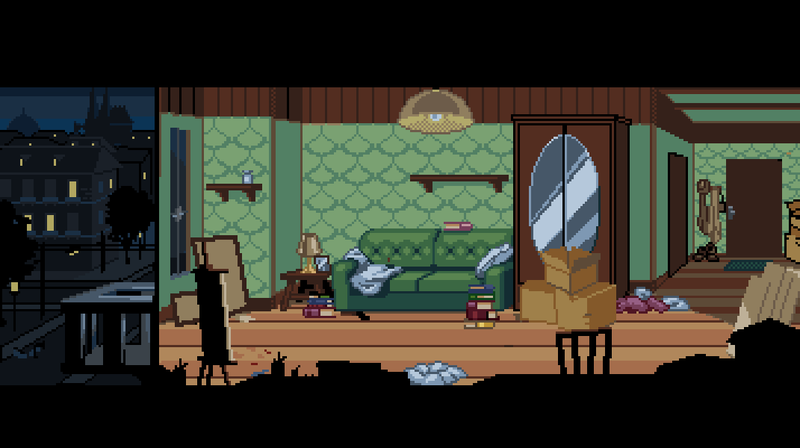 The game was initially made for the “Point & Click Jam” in November 2014. 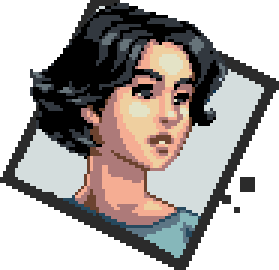 Although the design of the game was completed, only the first third of “A Fragment of Her” could be finished during the two weeks of the Game Jam. The remaining two thirds were completed afterwards and the full game was eventually released in February 2015. It is the first episode of the so-called “Fragments of Being Her Demise” trilogy, consisting of “A Fragment of Her“, “Being Her Darkest Friend” and “Ceasing to be Her Demise“. Instead of offering a lot of puzzling challenges and riddles, “A Fragment of Her” focuses on telling a short story with only a couple of locations and characters involved. 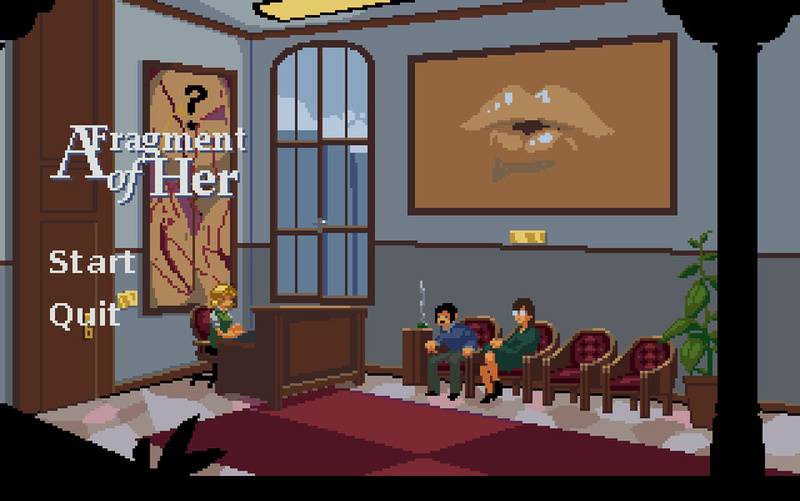 Therefore we prefer to call it an “Interactive Short Story” instead of “Adventure Game” or “Point & Click Adventure”. 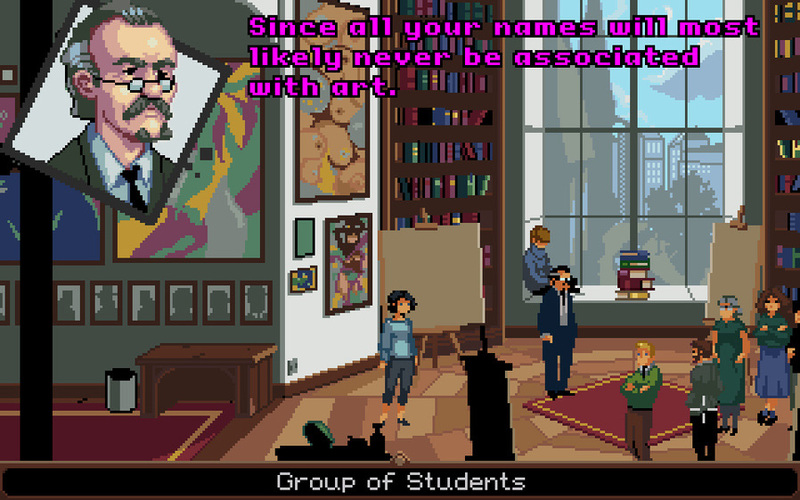 The full game was made with Adventure Game Studio (AGS) by Chris Jones. The demo version was made with Adventure Creator by Chris Burton.